Little is known in the outside world about the National Security Act in South Korea. It was enacted in 1948 and has been used to quash any opposition to the US military in South Korea or to the South Korean political establishment, which was founded by Washington when it selected the subservient and traitorous Korean collaborators that worked for the Japanese during Tokyo’s occupation of the Korean Peninsula to run South Korea instead of allowing the fiercely independent Korean resistance fighters that had fought against the Japanese during the Second World War takeover. Under the National Security Act in South Korea praising North Korea and questioning the stance of the South Korean or US governments on North Korea or Korean unification have been persecuted as crimes and threats to the security and the safety of South Korea. Ordinary South Korean citizens who visit North Korea are imprisoned for life, which is an improvement from the past when South Korean authorities use to execute South Koreans who visited North Korea. Even political parties and groups that are supportive of Korean unification or North Korea are disbanded and persecuted by South Korean authorities. In summary, the National Security Act has been used to censor support for North Korea or calls for unification, to violate human rights, and to neutralize legitimate opposition movements. Many innocent South Koreans have been executed or arrested as political prisoners under it. It is in the context of the National Security Act that the case of Representative Lee Seok-ki, a lawmaker or legislator of the National Assembly of the Republic of Korea, and the conspiracy he is accused of leading should be studied and understood. The case of Lee started in 2013 when South Korean intelligence officials accused Representative Lee Seok-ki of planning to overthrow the South Korean government in the scenario of a possible war between South Korea and North Korea. South Korean officials alleged that Lee Seok-ki and an inner circle of the United Progressive Party held a secret meeting discussing how they could initiate an insurgency against the South Korean government. Representative Lee was incarcerated as a criminal under a sentence that he serve twelve years in prison and the United Progressive Party, which formed a significant political force and legitimate opposition movement to the government in South Korea, was outlawed and disbanded by the South Korean government with the support of the Constitutional Court of Korea. Lee and the United Progressive Party, which was a constant target of the security and intelligence networks of South Korea before it was outlawed, maintained their innocence. They proudly admitted that they would oppose any type of war with North Korea as an attack on all the Korean people, as a collective and single nation, but consistently rejected the accusations that they were planning a coup in South Korea. The twelve-year prison sentence of Representative Lee was reduced to nine years in 2015 and an appeal by him reduced the charges against that were made against him. The appeal judges upheld the charges made against Lee under the National Security Act, but ruled that Representative Lee did not actively plot a coup or insurgency and only encouraged it through his language or speech. Despite the 2015 court ruling that concludes that Lee and his associates were not actively planning an insurgency or conspiracy and only guilty of language encouraging and insurrection by saying that South Koreans should oppose a war with North Korea, the same dropped or overturned charges have been used by South Korean authorities to prosecute other South Korean citizens opposing a war with North Korea. In effect opposing a war in the Korean Peninsula is being outlawed in South Korea. This serves both US foreign policy in East Asia and the South Korean political establishment, which seeks to legitimize itself by opposing North Korea. Those voices in South Korea calling for moderation, inter-Korean dialogue, and the criminalization of war are being silenced in the name of national security. 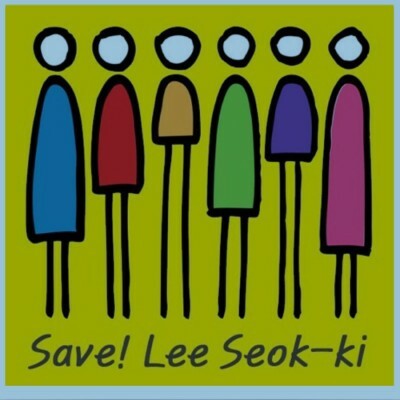 The following text edited by Asia-Pacific Research is from South Korea and is based on an appeal for help and international solidarity from the Korean Committee to Save Representative Lee Seok-ki of the Insurrection Conspiracy Case. It also draws attention to the arrests of Park Min-jung, Lee Yung-chun, Wu Wi-young, and other South Korean citizens that are being prosecuted on the same charges that were made against Representative Lee that were judicially overturned in 2015. Mahdi Darius Nazemroaya, Asia-Pacific Research Editor, 28 July 2016. We strongly, denounce the decision of the Court of Appeals on three people additionally arrested with suspicious of getting involved in the case. The Court of appeals in Korea additionally charged three persons with suspicion of getting involved in the ‘Lawmaker Lee Seok-ki Insurrection Conspiracy Case’ and sentenced them a maximum of three years of imprisonment for the violation of the National Security Law. Even half a year after the so-called coup component of the ‘Insurrection Conspiracy Case’ was dismissed by the Supreme Court on January 22, 2015, it is a shame to confine these people on charge of participating in the discussion, which was really a debate on Korean political issues, two year ago. They, even now, are put in solitary confinement. Today, the Court of Appeals dismisses the appeals of more than three people including Park Min-jung, Lee Yung-chun, Wu Wi-young who were arrested and sentenced to three years of imprisonment. The hope that the rulings would be based on the law were brutally crushed by arbitrary decisions. The presidential pardons planned for National Liberation Day (August 15, 2015), will grant an amnesty to all prisoners of conscience. President Park said she would introduce a special amnesty on the Seventy-first anniversary of National Liberation Day at the Cheong Wa Dae meeting to unite the people of South Korea. Preferentially releasing numerous prisoners of conscience that have been politically suppressed is at the minimum needed to give authenticity to President Park’s gesture for national unity. The release of all the arrested victims of the ‘Lawmaker Lee Seok-ki Insurrection Conspiracy Case’ should be included as part of the presidential pardon. There is no precedent of a politician or lawmaker serving a sentence of more than two years and six months in South Korea for the charges of conspiracy to launch and insurrection. In the case of Kim Dae-jung, the former president of South Korea, he was released within 951 days. Whereas by September 2016 Lee and the other victims will have served three years in prison. Korea society is suffering from divisions according to the classes, generations, regions, and ideology of Koreans. Without healing these hurts, a historic and hopeful turning point will not emerge. In this regard, a resolute decision to release prisoners of conscience is needed as resolute prerequisite for sincere national unity. In the same vein, former governments drastically carried out pardons for political opponents.